Paytm has evolved hugely in the past few years and also claims to be the largest Indian digital payments startup. Besides that, the business was spread into multiple segments and is offering several integrated services. 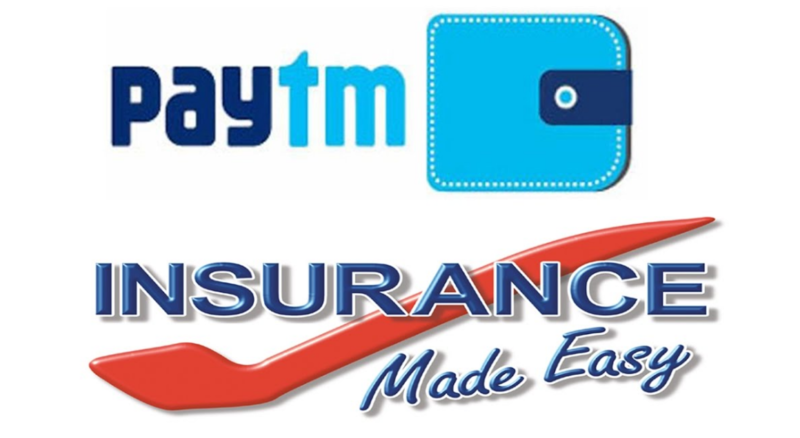 Now, Paytm is making its debut into the Insurance market with the launch of Paytm Insurance. The Insurance wing of One97 Communications now offers insurance services with new Paytm Insurance companies. The company now makes six in total which includes Paytm, Paytm Money, Paytm Mall, Paytm Payments Bank beside the newly launched Paytm Insurance companies. Paytm is planning for this expansion since very long time. The company has provided users to pay online insurance by partnering with other insurance companies back in 2015. 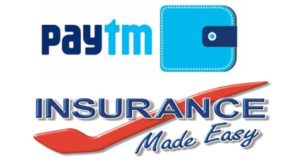 Insurance Regulatory Development Authority of India (IRDAI) approved a license for these Paytm insurance companies to sell Insurance. Paytm Life Insurance Corporation Ltd. and Paytm General Insurance Corporation Ltd. will handle the Insurance operations. The Paytm companies are planning to offer various insurance products which include health insurance, motor insurance and life insurance. Also, the digital payments platform may lure customers with proved successful marketing strategies like offering cashback. If it turns into real, this may affect existing big players in the market like Bajaj Allianz, Aviva, United, HDFC etc. Recently, the firm has also announced its investment options and wealth management products Paytm Money Ltd for its users. On the other hand, Paytm is planning to strengthen its platform with trading, investments and insurance products. Paytm Money primarily works to manage investments and wealth management business on Paytm by selling mutual funds. Now, these Insurance products will fill the space in the Paytm, while the trading operations are always found decent. Paytm is planning to launch a credit scoring product called Paytm Score to give a credit score for all Paytm users. This credit score will be given based up on their Paytm transactions and other linked subsidiaries. However, even users without a formal credit history can get Paytm Score as it also considers other financial transactions. The customer transactions across various Paytm offerings will be a factor to obtain a credit score. This move will help the company to make its debut in the credit segment. Nevertheless, Paytm Virtual credit card and Paytm Postpaid are already available exclusively for ICICI bank customers. With its huge user base, Paytm may hit next big marketplace for credits with its Paytm Credit and Paytm Score. The company has already approached some lenders and finance companies to extend their support for next venture. Besides that, Paytm Mall app is joining hands with BigBasket and XpressBees to grab big in the grocery business. Also, it is planning t strengthen its logistic arm by collaborating with XpressBees. In a recent statement, founder Vijay Shekhar Sharma unveiled his plan to invest $2.5 Billion for its e-commerce development. However, the payments company also has good investor base to help grow better in every expansion. To conclude, these Paytm Insurance Companies launch is a right move to lure big by selling Insurance policies. Windows phone WhatsApp users are soon going to get an interesting update to express their emotions with emojis. 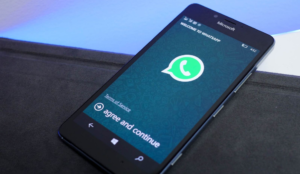 The app maker has been spotted testing WhatsApp stickers for windows phone users in the Whatsapp beta version 2.18.24. This new Windows phone Whatsapp stickers update will bring a new notification icon as it rolls out in the coming weeks. Yet, there is no clue about the newly launched animated stickers taking place on the Android and iOS devices. Another interesting feature which this beta update provides is, users can now send WhatsApp Stickers in individual and group chats. The “heart-shaped” logo in the notification icon will differentiate the regular messages and the stickers. Though WhatsApp stickers feature is touted for Windows users first, will be introduced across platforms soon. Interestingly, the feature was first introduced in the Whatsapp 2.18.2 beta and is hidden by default. However, a recent report states that the feature can be enabled remotely even in the 2.18.2 beta version. These Windows phone Whatsapp stickers feature is now available in the beta version. Yet, consider the fact that beta versions of any app may have bugs which will be fixed in the stable versions. It will be more interesting to see the new stickers feature arriving on Android and iPhone platforms sooner. Besides this, this new Whatsapp beta version for windows phone brings the Live Location Sharing for Windows users. The feature launched on Android and iOS back in October earlier year and now made way to Windows devices. Essentially, Whatsapp Live Location sharing feature will help windows phone users to share their real-time location with their contacts. Additionally, users can also control the duration for which the live location updates to be shared. On the other hand, the Facebook-owned company has also tipped out group description feature. This new feature will allow users to “add group description” to the WhatsApp groups. Presently, group members can make changes to the text in the group description tab. Nevertheless, limiting access to admin may offer provides better moderation policy if it is a group with numerous participants or a public group. The group description will be visible to the users on the chat page in a pinned box beside the group info. However, it may restrict access to normal members once the latest version is out. Users can get hands-on this new update in the Whatsapp beta version 2.18.54 for Android and 2.18.24 for Windows. This new WhatsApp group description feature has a 500-character limit for the tab to detail the group’s purpose in-brief. As of now, the feature isn’t working for all beta users. We tried accessing the group description feature in the WhatsApp v2.18.54 beta and found unavailable. Moreover, the popular messaging app is also testing “Demote as Admin” feature. This feature allegedly lets group admins withdraw admin rights of other admin in the group. 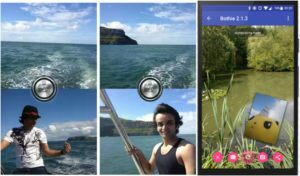 Bothie 2 app: Ever felt like missing the loved ones in the photo frame who stood behind the camera for clicking the picture? No more such worries, Bothie 2 app brings you together in the same frame by capturing with both the cameras. There are other apps which offer a collage of photos with grid cutting the photo into a certain ratio. This new bothie app essentially makes the two cameras work at the same time for a bothie. As a result, the outcome will be the two photos in a single bothie. You can put your selfie into the main photo and add reactions to pictures which make happy memories. These Bothie apps get the front and rear cameras to work at the same time for a single picture. On the other hand, the app also offers the benefits of Bothie live stream and Bothie video. The app provides your desired photo in a single take by capturing with both the cameras. Bothie 2 free download is available for users at Google Play store. Interestingly, the app is available without any ads. 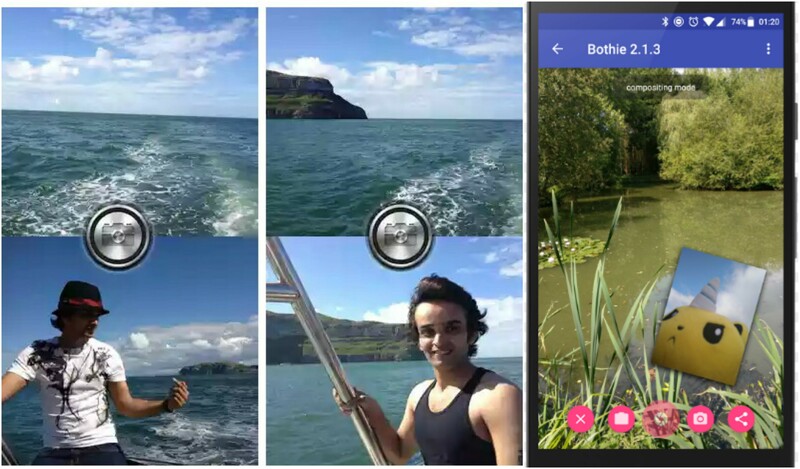 Combine two separate photos into a single bothie by using Bothie 2 app. Yet, the camera app does not activate both cameras at once as it not possible with the regular Android camera APIs. The selfie will be the main photo and the picture clicked by the rear camera will be appearing in a small portion. Also, it allows users to add their own reactions to their pics. Besides that, this photo collaging tool facilitates users to zoom and pan the images for a perfect composition. Huge rise in the bitcoin value is attracting thousands of Investors in recent times. Interestingly, this made a way to huge investments and people who were unaware of crypto-currency also started bidding. Bitcoins, Ethereum, Ripple etc. found a fruitful and more profitable place to invest in. Now, Indian telecom giant Reliance Jio is also making its move for its debut in crypto-currency segment called JioCoin. Here we detail you about Jio Coin ICO, Price, Launch Date and how to buy Jio coin etc. Reliance Jio Infocomm Ltd plans JioCoin with Akash Ambani as the lead for this crypto-currency project. A team of 50 young professionals are engaged to work on this blockchain technology, which also assists to develop applications like supply chain management logistics and smart contracts. The Indian government has cautioned investors against crypto-currencies that these virtual currencies are backed by assets and also poses risks like money laundering. Now, this announcement from Reliance Jio Bitcoin raises interest among the investors. As of now, there is no official confirmation from the team Jio about the Jio Coin launch. Based on the fame which this Mukesh Ambani led group has, experts say that the Jio Bitcoin price may quote $1. However, it is too early to predict the JioCoin Price before any official confirmation from the firm. 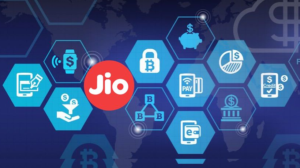 Despite the anticipation about the JioCoin launch, buzz is that Reliance Jio cryptocurrency will be made available on JioMoney app. Investors can buy Jio Coins with their wallet balance in the JioMoney app initially. However, it will be made available on popular exchanges like Bittrex at later. Yet, Bitcoin and all other forms of crypto-currencies have come under governments notice as their speculated high prices attract ingenuous retail investors. With all said, Indian market may witness a new era of blockchain and cryptocurrency in the country this year. WhatsApp Messenger has almost become a mandatory app on every Android smartphone. Now, the Facebook-owned app has rolled out business version of it as WhatsApp business app. This new version WhatsApp is a whole new idea to engage with the business number even while you are busy chatting with friends. Essentially, WhatsApp Business app enables business presence on WhatsApp to communicate more with the customers for better business growth. Interestingly, users can install both WhatsApp Business and WhatsApp Messenger on the same phone even if they have a different number for business and personal uses. 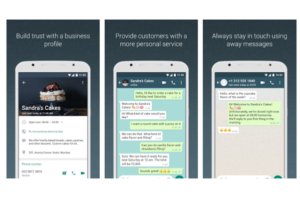 This new WhatsApp Android app for business focuses more on managing your business number. Business Profile: Provides valuable information like the business website, location, and other contact information for customers. Business Messaging Tools: ‘Away message‘ is an option to generate an automated response to customers when they try reaching you when you’re not available. Landline/Fixed Number Support: Use WhatsApp Business app with a landline (or fixed) connection and get messages on that number. Besides that, you can also select “Call me” option to receive the code over a phone call while you are on a vacation. WhatsApp Messenger and WhatsApp Business in One: Install both WhatsApp Messenger and WhatsApp Business app on the same device. However, you need to have two different numbers to install both the apps. WhatsApp Web: Just like the same on messenger version, respond to messages directly from your computer browser. WhatsApp Business Android App is now available on Google Play Store and users can download directly. If you are downloading the app from other sources, you can install it by following steps. Enable to install it from “Unknown Source” in the setting. Go to Settings > Security > Tick Unknown Source.